When Glenn Nunziata left Ernst & Young to join Smithfield Foods Inc. in 2015, the $15 billion global food company was in the early stages of a massive operational and cultural shift. Called One Smithfield, the changeover was designed to better position the company to serve its customers. “In one fell swoop, they integrated years of acquisitions and centralized the business,” Nunziata says. During the past three years, he has helped Smithfield identify opportunities for improvement, maximize efficiencies, reduce redundancies and create action plans to reach its goals. 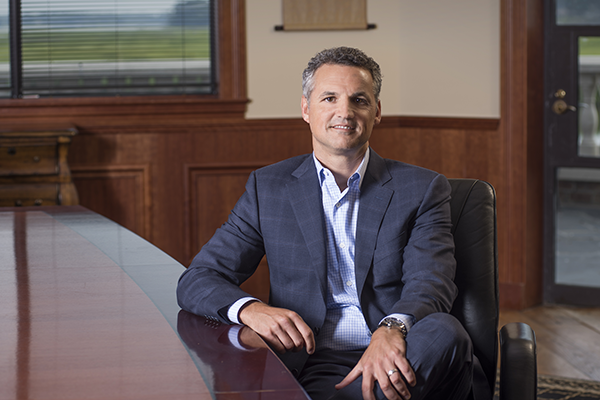 Ken Sullivan, Smithfield’s president and CEO, “told me what attracted him was my ability to put my business head on when thinking through accounting situations and not just anchor myself in rules and regulations,” Nunziata says. At Smithfield, he leads the company’s finance, accounting, treasury, tax, risk management, human resources and IT functions. Nunziata also is a board member of the Smithfield Foundation, which provides scholarships to the children and grandchildren of company employees. In 2015, Nunziata was driving his family to Walt Disney World when he got a call asking him to join Smithfield. At Smithfield, Nunziata has championed a cultural shift that focuses on continuous internal measurement and assessment. His work has helped the company achieve three consecutive years of record growth. Smithfield is a subsidiary of Hong-Kong based WH Group Ltd., which operates in six countries. Because of its foreign ownership, maintaining an identity as a U.S. company can be challenging. The company’s headquarters remain in Smithfield, where it was founded in 1936.